Today is my 5th wedding anniversary! 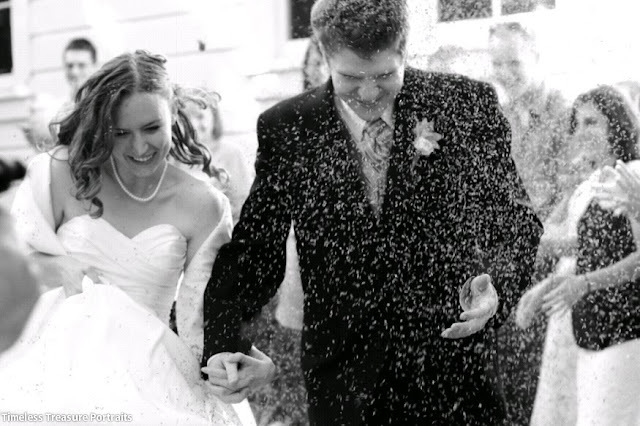 This picture is my husband and I getting absolutely pummeled with lavender seeds as we left our wedding. I bought way too much lavender, and I guess the guests thought that they absolutely HAD to use ALL of it, so they were chucking handfuls of the stuff in our faces. We were picking lavender out of our hair for several days afterwards. The tapioca balls were a big topic of conversations at FG this week.